Most bloggers and website owners have the same purpose for their blogs and websites to increase their website traffic. Currently, the internet is completely full of a wide variety of content. Bloggers and website owners should ensure that they can stand out among other websites and blogs so they can get stable traffic on their website.What is Traffic? 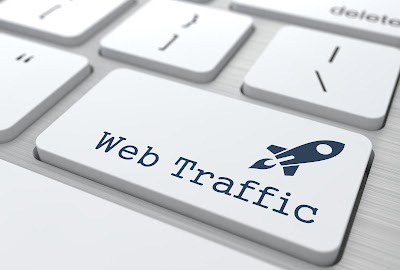 Website traffic can be defined as the number of people visiting a website, the page they are viewing, and the duration of the visitor viewing or reading the pages. When someone visits your website, these visits as well as all the links they click and follow are recorded by your domain. Later these numbers can give you an idea of ​​how popular your website is. If your website is not visited by many people, your website is threatened to be drowned among other websites on the internet. Every website needs traffic. No matter how good your website is, if visitors are few, your website and business may not be able to survive. Basically, your website will only survive if there is a stable traffic flow. Traffic from users interested in the content of your website or products will be more likely to spend more time on your website and tell the website to the crowd. If people spend more time on your website, it is likely they will sign up for your website newsletter or receive promo content that will make them become consumers for long period of time. For a business, you need to get website traffic to profit and ensure that your business runs smoothly. Here are the things to watch out for to increase your website traffic. Headlines or article titles are important elements of content. Headlines are the first thing that grabs the attention of people to read your website content, especially if you share your content to social media. Make sure the headlines used draw attention and clearly illustrate the content of the content. One way to bring traffic to your website is to make sure you focus on selecting long-tail keywords. Make sure the keywords used are relevant and related to the topic of each of your posts. Quality content can also help linking root domains. As mentioned earlier, root domain linking is the number of unique backlinks received by your website. It would be better if you receive backlinks from 100 different websites compared to get 200 backlinks from one website the same. If your content is considered qualified by many people, guaranteed you will get many backlinks from various websites. You can also create quality backlinks for it. If you want to create more interesting content, you can add multimedia in your posts like images, infographics, and videos. Whatever business industry you have, there must be many things to discuss. You can also create a webinar about the topic you want to discuss and present it. If you feel less comfortable in front of the camera, you can also try making podcasts. Podcasts are one of the mediums that are currently starting to get a lot of attention. Podcasts themselves are original audio recordings or available on the internet. You just need to subscribe without paying any fees. One of the hallmarks of a podcast is that it can be heard anytime and anywhere. To add more value to your podcasts, you can invite experts and influencers in your industry. That way people will be interested to listen to the podcast and your guests can also promote your podcasts on their own social media. This can help your website to become more widely known. Do not forget to apply On Page SEO techniques. Have you used the right keywords? Have you used alt text for the images included in your post? Have you included external and internal links? What about meta descriptions? On Page SEO does not take much time to apply and is still one of the most important things to increase your website traffic. You can also join a blogger community like ProBlogger or Copyblogger. This is one way to connect with other bloggers and promote blogs with each other. Interaction with other bloggers and influencers is also very important to increase your website traffic. Keeping good relationships with bloggers and other website owners in the same field is also important. People who are in good touch with you will be more likely to connect their readers and followers to your website. You can also contribute to your website or blog with each other. They will also be more likely to share your content on their website or social media. In addition to bloggers and other website owners, it is also important to build relationships with influencers. You can start by sharing their content. You can try to interact with them through the content or social media account you own. Interacting with them can help you because they will connect their readers and followers to your website. This will greatly help your website to receive backlinks from various authoritative websites. You can also request help from bloggers and other influencers to advise on published content. You could try dividing your articles into forums like reddit or stumbleupon. One of the advantages of forums is that you can find the right niche and reader for your website content. Internal linking is a link from one website page to another page on the same website. Please note that for internal linking, just use the post link of your website whose content is still associated with the article that you will upload. Internal linking helps Google to browse your website pages. Internal linking also allows website visitors to find information related to what they read. This can increase the duration of users while browsing your website. Internal linking itself is one of the most important on-page SEO techniques as they will help search engine crawlers to browse the content and surf your website. Inter linking also helps improve the page authority and allows users to navigate the website more easily. Guest-blogging is one way to increase website traffic. What is meant by guest-blogging is to write content for a website or blog that is already famous. This can help increase traffic to your blog or website and simultaneously build your brand. However you should be careful and ensure that your guest-blogging content is qualified. In creating guest-blogging content, make sure that the content is creative and appropriate to the niche of the blog. Avoid link stuffing or insert many links at once into your articles to increase website traffic because you can be penalized. Many people often ask me how often should I publish content on my blog? The answer is you have to publish new content regularly. Regularly publishing content is one step to ensure that your website is always up-to-date. Writing on a regular basis is not an easy task so many bloggers and website owners are inconsistent in publishing new content. This causes fluctuations in their domain authority. Website traffic will increase if you regularly publish content. Regular writing and publishing content also helps improve your website page rank. You will also have plenty of content for interlinking. Basically, the more routinely you write and publish new content, your website will receive more website traffic. It is not enough just to create quality content, you need to actively socialize the content to get people to read it. If you share your content on social media sites like Facebook and Twitter, you can get a new audience for your website. Especially if your content is quality, the content can get more share and possibly become viral. The best content must be shared and promoted. Keep in mind not to spamming on social media. If possible, arrange a schedule to share your post to social media sites. You also have to set up a social media strategy. Use the right design for branding and marketing. In essence, social media plays an important role in increasing website traffic. Link Building is an activity where you try to increase the number of backlinks to your website. If your website receives backlinks from other websites, search engines will see your website as a trusted website in its field. That way, search engines will put your website in a higher position in the search results page. If your website is on the first page of search results, of course people will be more interested to visit your website and read the content on the website. Keeping your website consistent is an important factor. If your consistency is maintained then the domain authority of your website will also increase. You also have to be patient because SEO will not work only overnight. It takes time before you finally see the results. These are the steps you can take to increase your website traffic. 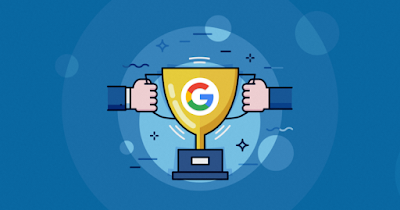 But one thing you should keep in mind is that all the SEO techniques as well as the techniques above will only really bear fruit if your content is qualified. With quality content, you will be able to increase website traffic, domain authority, organic search results, and also website ranking.